Welcome to this week’s Failed Critics Podcast, and it’s a shorter one than usual as James had to shut up a lot more than usual due to a sore throat. We’re sure many of our listeners will appreciate this improvement. We’ve only managed to get out and see one new release this week, but [SPOILER ALERT] it’s a great one. 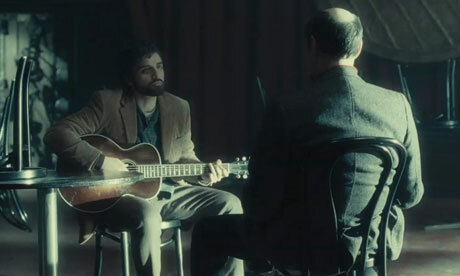 The Coen Brothers are back with Inside Llewyn Davis, an exploration of the search for fame in the 1960s Greenwich Village folk scene. Also reviewed this week is the Aubrey Plaza-starring The To Do List, war photography documentary Which Way is the Front Line From Here?, and yet the final member of the team gets around to watching Sightseers. We also discuss the furore over Quentin Tarantino’s leaked The Hateful Eight script (and the film’s subsequent shelving), and discuss our most anticipated films to come out of this year’s Sundance Festival. Aubrey PlazaCoen BrothersInside Llewyn DavisQuentin TarantinoSightseersSundance FestivalThe Hateful EightThe To Do ListWhich Way is the Front Line From Here? Previous PostAround the World in 80 films: No. 3 – The Boss of it All (Denmark)Next PostFailed Critics Podcast: Philip Seymour Hoffman. RIP.